Fundraiser by Lali Luque : Peru needs your Help! As you may know, Peru's actual weather forecast indicates showers for days which have been causing flooding in several rural and urban areas. Mudslides "huaycos" have affected several towns and cities mainly affecting poor areas. Towns within the north and central coast of Peru are the most affected, more than 62,642 lives have been affected by this natural disaster. 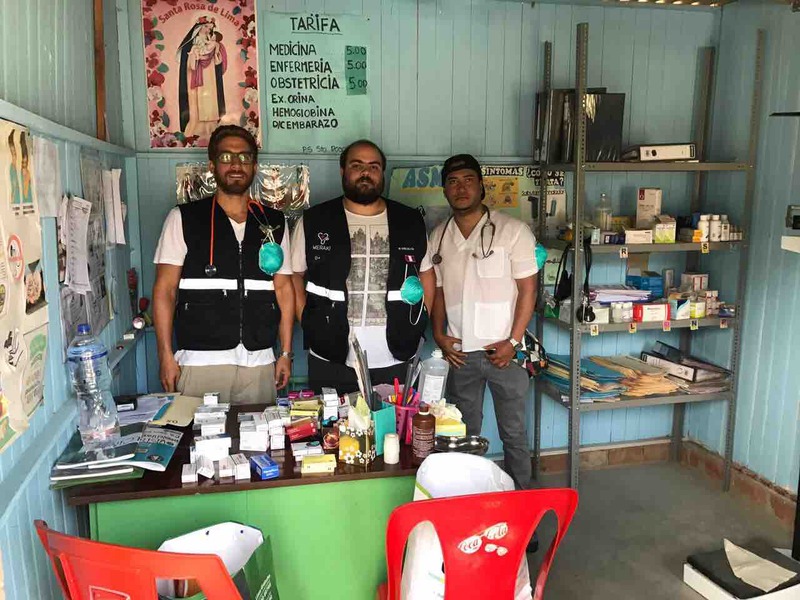 NGO's Meraki Peru with expertise in disaster relief are constantly sending volunteers to provide humanitarian relief and support with donations, health workers and public health impact analysts. Highways are flooded and closed due to impact, several towns have become isolated which is why the logistics are complicated. We pledge for your support so we can get to the most affected places and acquire the adequate gear and provisions. This is Dr Laura Luque, acting Medical Director for Meraki Peru NGO. We are currently delayed answering emails and Facebook inboxes. We really appreciate your concern and understand any trust issues that may have risen from the campaign. Just to clarify what we do; we have been working for more than a year fundraising, helping other NGOs, coordinating medical campaigns and attending several emergency issues. I am attaching, through one of our updates, the copy of our Tax ID, Legal Name and registered NGO so people understand that this is a trustable site. Our new website is currently being created, we hope to launch on the next 1-2 weeks. Unfortunately due that, we only have our facebook fan page and not an specific "profile", gofundme neither allowed Meraki to create the campaign under their legal name, reason why we had to do it through one of our Director's personal accounts. As we have nothing to hide, I accepted to go forward with my own profile. If you have any doubts please feel free to contact us and we will be more than happy to clarify your doubts and guide you through any process. We invite you to visit our Facebook Fan Page through the following link https://www.facebook.com/ongmerakiperu/ in order to share our experiences and advances! Please be patient as our team is working prioritizing the most affected. Between donations and everything we managed to buy, we gathered 70 tons of goods for those in need! After several ups & downs and some intense weeks we can't express our gratefulness to everyone who made this possible. In these past 3 weeks we manage to move medical brigades to Piura's most affected areas and Lima's rural areas providing medical relief attention to more tan 1600 families, 996 from Piura's rural areas. We would like to thank all volunteers involved from gathering goods, building and working up packs, logistics and distribution. We managed to give out 18 tons of water in Piura and 5 tons in Lima's affected areas including Huarochiri and Huarmey. 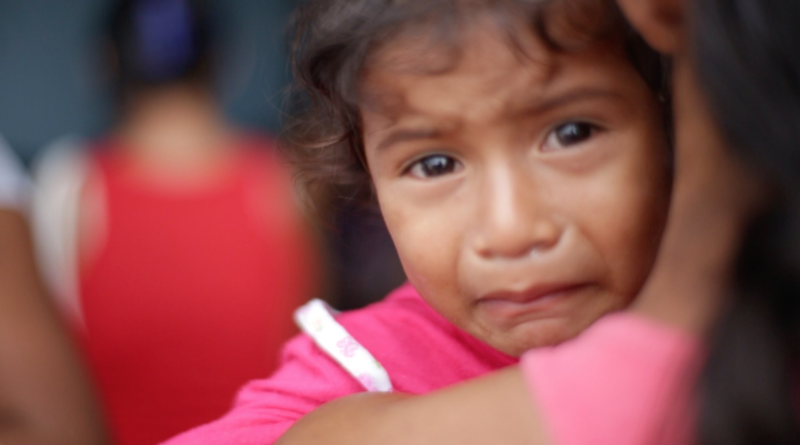 In Piura up to date we have provided 1721 families with weekly food and emergency packs as well as scholar goods for school aged children and clothing. 350 mattresses where bought and given to those who needed the most in the past 3 weeks. There is still much more to do! Wait for our usages and please help us continue to make this happen! Last week has been one of the roughest weeks we have gone through, tons of work, moving donations and buying tons of food and we know we are still short! 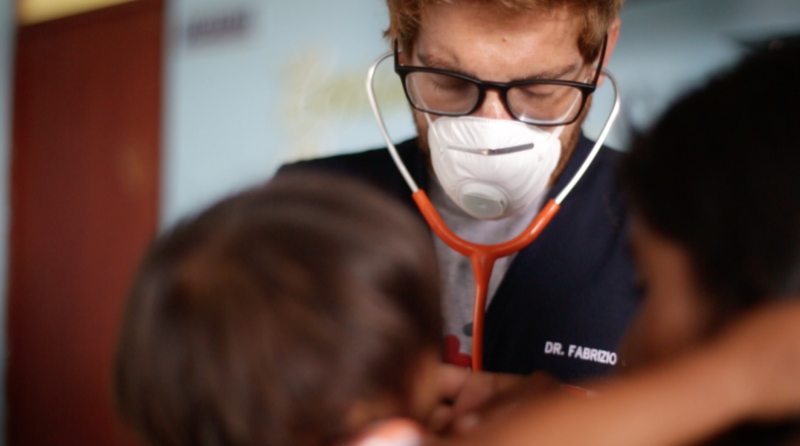 We have decided to return to Piura one of the most affected areas in northern Peru, where our team has detected possible cases of Dengue and Leptospirosis. Our team overcame stressful, dangerous and life threatening situations. 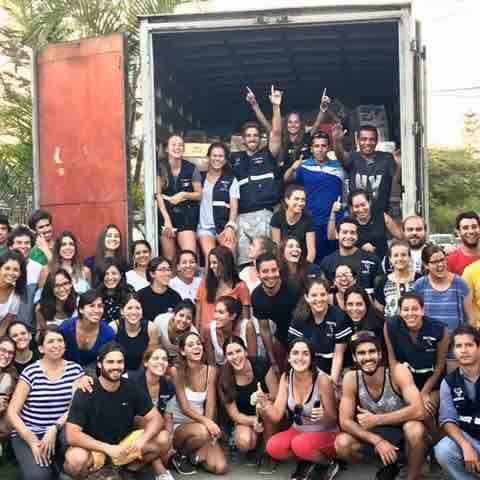 We couldn't be more proud of how they managed to work as an exemplary team, we have been contacted by several people begging for more help, and we have decided to travel to Piura with 10 tons of food this weekend again! Soon more updates to come! Between donations and everything we managed to buy, we gathered 20 tons of goods for those in need! We have been filling the first plane with our team and goods since 7:30am and the team is ready to leave at 12pm for Piura. Our first team is currently waiting for better weather in las Palmas we will soon be there . We also aim to rent a few motorbombs to pull out water from the isolated and most devastating places. Thank you for your support: next stops coming out soon! 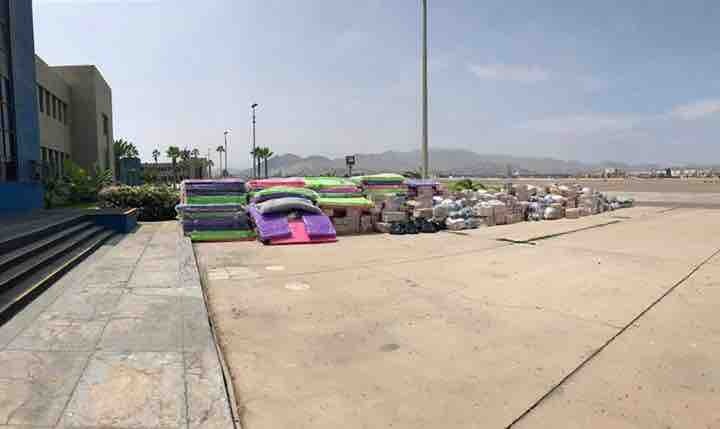 *We have managed to recruit 10 tons of food, water, medications, clothing, boots and other hygiene essentials to cover the department of piura. Our team is leaving Lima on Thursday to attend the most abandoned areas surrounding the rural areas of Piura which have not yet received any support. Help us make more missions like this possible! 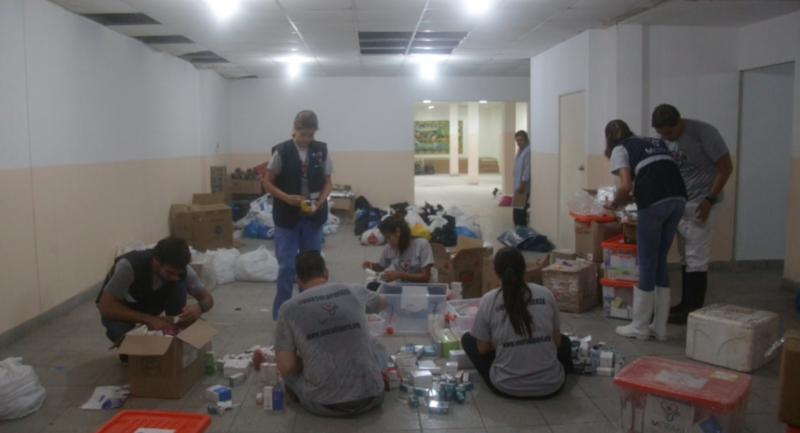 En un día nuestra brigada médica viajará a Piura junto con un grupo de voluntarios llevando 4 toneladas de agua, 1 tonelada de medicamentos, 3 toneladas de comida, 1 tonelada de ropa y colchones para distribuirlos entre las zonas más remotas donde aún no ha llegado el apoyo. Gracias a los voluntarios de #AyudaaPiura hemos organizado un grupo de voluntarios que se encargará de repartir las donaciones a las zonas más alejadas donde nuestra brigada cubrirá también las necesidades médicas apoyando la gestión actual de ESSALUD en Piura y pueblos aledaños aún abandonados. Gracias también al apoyo de Procter & Gamble Peru y Suiza Lab​ por equiparnos y permitir que esto sea posible. Actualmente, nuestros voluntarios continúan trabajando desde tempranas horas organizando las donaciones en nuestro punto de acopio principal, gracias a Papa John's Pizza por el almuerzo/comida y a Krispy Kreme Perú por los donuts que sacaron a muchos del cansancio. Estamos consolidando 10 toneladas de donaciones y compras mediante 3 tipos de packs: Familia, comida de Emergencia y Pack de bebé, los cuales llevaremos a a Piura este Jueves 23 de Marzo gracias al apoyo de la Fuerza Aérea del Perú. Queremos agradecer a Casa Andina Classic Piura y Hoteles Costa del Sol por su apoyo incondicional en esta campaña. Esto es sólo el comienzo, Piura allá vamos! Somos el grupo OXIS, un grupo cultural de Bonn, Alemania y hicimos una fiesta con donaciones para poder apoyarles. Rezamos por todos los victimas y ustedes del ONG. Que Dios los bendiga! Fuerza!